Every time I go to Hillebrand Winery I’m thrilled by the hospitality. Someone there is doing a great job teaching customer service, or simply hiring the right people. There is a feel good atmosphere running right through the place – from greeters right up to management. The restaurant is outstanding and beautifully located overlooking vineyards, and the courtyard feeling of the grounds invites wandering. 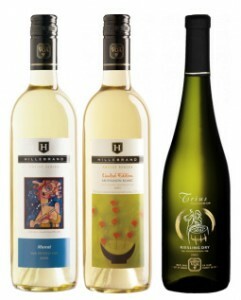 When planning your Niagara visits be sure to include a visit to Hillebrand. Here are a few photos taken at the recent Hillebrand Jazz Festival. A great outdoor concert with top musicians, picnicking on the grass and wines at modest prices. Ditto for the Annual Blues Festival in August. If you missed it this year mark your calendar for next. FYI: Hillebrand is part of the Peller empire (Peller Estates, Thirty Bench and Andres) and some of their remodelled private stores (called Vineyards) are quite stunning. Very pretty, charming everyday wine. Sure to wow! Fantastic value. Crisp, light and refreshing. Aperitif or anytime gulper. Drier than in previous years. 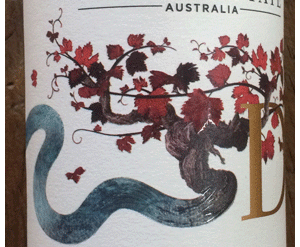 Lively red with bright flavours and great drinkability. Good local expression. Gutsy, rich and out to impress. A big show. A blend of whites including Gewurztraminer. Zesty, flavourful and crowdpleasing. Delicious Muscat perfume and flavour. Off-dry, anytime sipper – especially Sunday afternoons. Mild on flavour but loaded with zest. Great stuff to have open in the fridge. Steely, austere, classic dry Riesling. Only eight percent alcohol. Best aged a year or two. Very dry, citrussy and in the Chablis style. Elegant and understated, and therefore hard to describe. Has the mystery component that keeps bringing you back for more. Wonderful wine for a special dinner. Should be even more exciting in a year or two. I just bought two bottles of the Trius White 2008 at Aisle43. They actually sell for $19.95 a bottle, not $14.95. Just a heads up. Oops! Thanks so much Will. Will change that. Thanks for the correction. And for reading…and for drinking Trius! Cheers.